Click on the link and see this product on YouTube! Introducing the waterproof LED strip version! They can be used for indoor lighting, furniture or buildings. An additional element is the RGB version. You decide what color you want to have. When you change your mood, you can change the lighting, or vice versa, when you change the lighting changes your mood. It all depends on your LED strip excellent example. To illuminate the kitchen furniture. 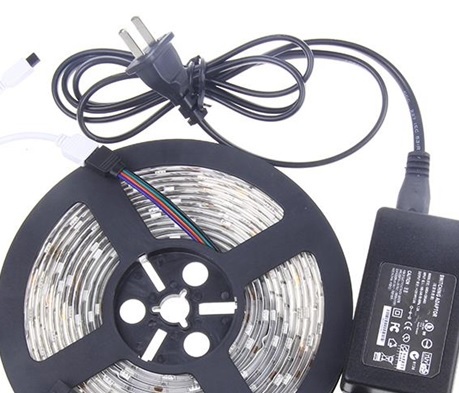 The device comprises a flexible tape 5 meters RGB LED 150 SMD. What is SMD? - This abbreviation stands for technology manufacturing and specifically their installation. Glowing element chips are encased in a rectangular plastic casing. So a specially made light flooded is suitable resin.